Add a touch of style with the new Fall/ Winter 2017 trends in outerwear with Mayoral kidswear brand. 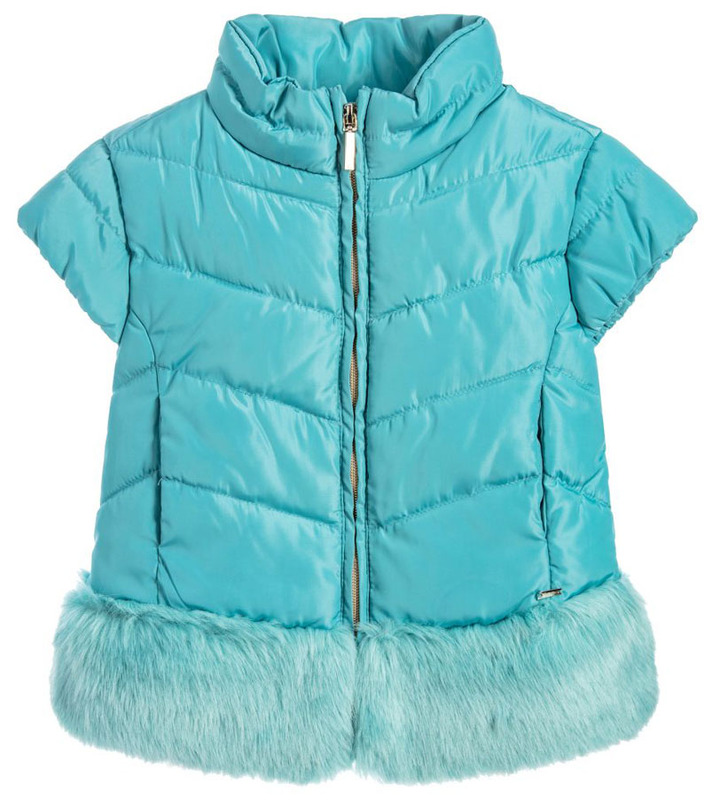 There are a few essential Coats & Jackets that your kid must have this cold season. 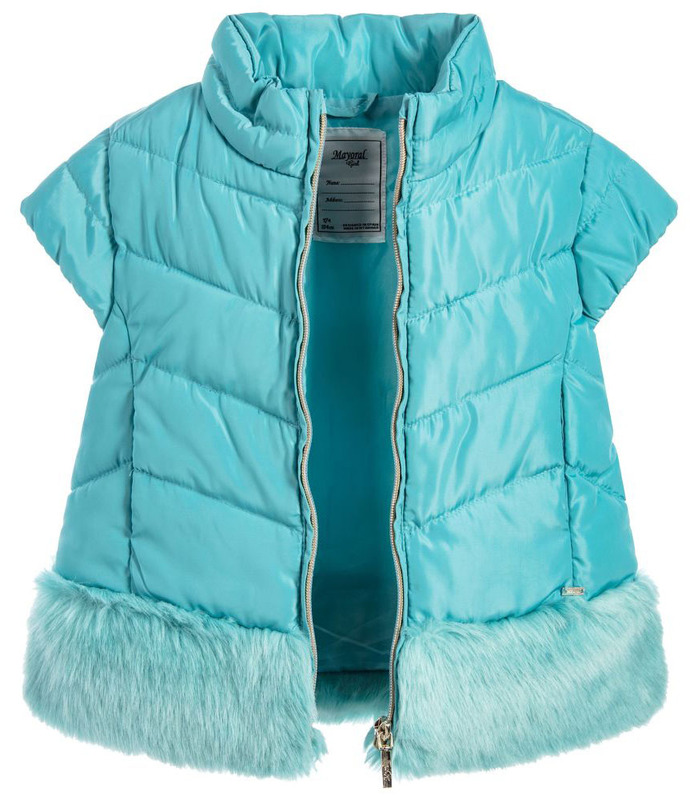 With a high neck and synthetic fur trim, this aqua blue gilet by Mayoral Chic lends a glamorous edge to her winter wardrobe. 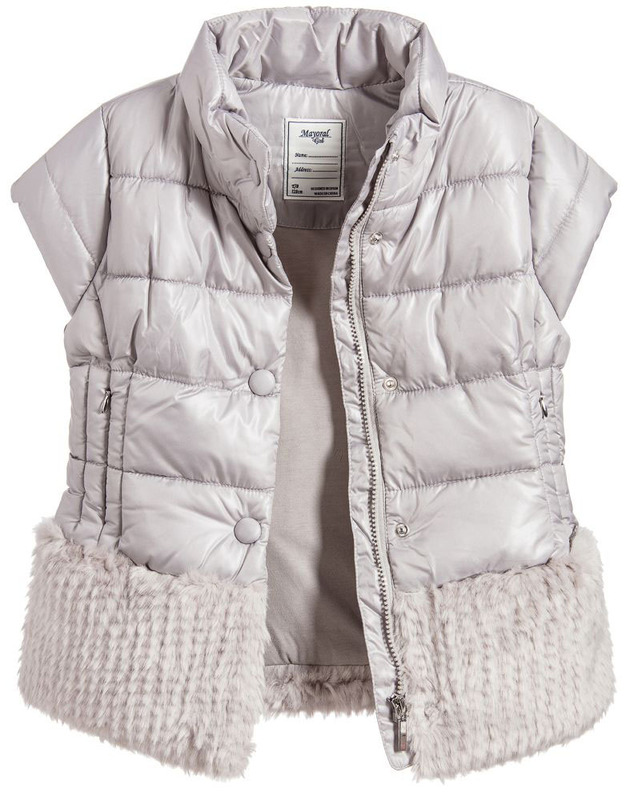 Softly padded with short sleeves, it's perfect for layering up when it's not quite cold enough for a coat. Mayoral brings a little feminine flair to this most practical garment, with cap sleeves, fun synthetic fur trim and a sleek silhouette. 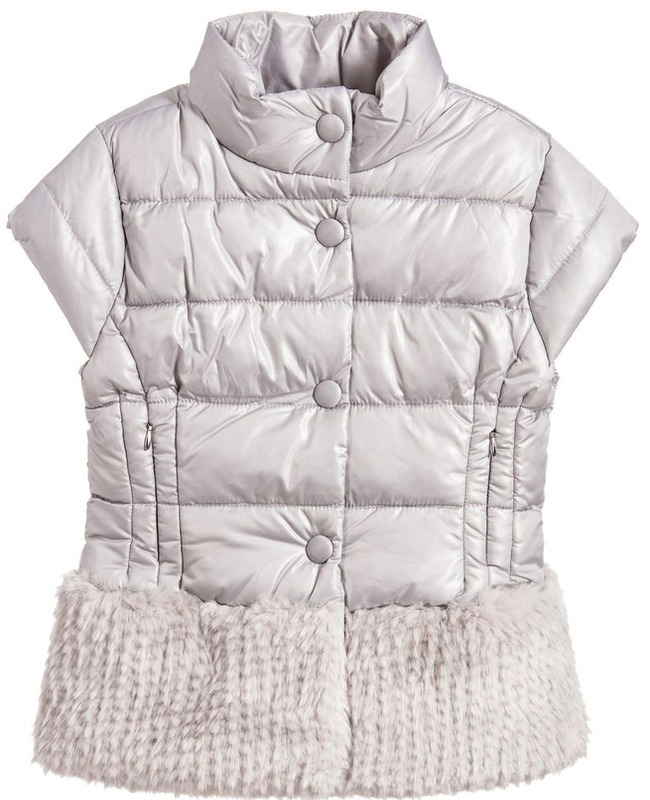 It is a great choice for adding an extra layer during changeable weather.